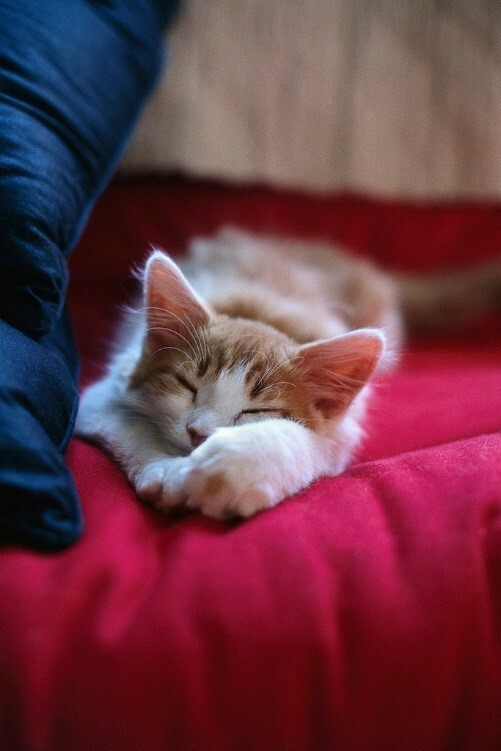 Do you cat nap or sleep like a baby? Sleep is one of those subjects people seem to get completely fixated by. It may be their bedtime routine. How much sleep they need. Why their friends / partner need more – or less – sleep than they do. What their day is going to be like if they don’t get enough sleep. And so the list goes on. From talking to many patients over the years, it’s clear there are lots of old wives tales – or myths – about sleep; but very little in the way of actual facts. So let’s try and shed some light on this most mysterious part of our lives. The obvious question to start with is why do we need sleep in the first place? The standard answer to this is that it gives our brains time to process the events of the day, clearing the decks for the next day. Our brains take in – and process – a huge amount of information each day, most of which we’re completely unaware of. And the majority of this is of little use to us long term. Just think of anything you did yesterday and how little information you retain about it one day later. Let alone a week, month or year later. Without this regular clearing process, we’d quickly become overwhelmed by the sheer volume of information. Put another way, it’s rather like defragging your computer! Doesn’t it always run much quicker afterwards?!? Alongside this mental housekeeping, there is a physical detoxing process too. During the night the cells release toxins built up during the day. These then find their way into the blood stream and on to the liver for breaking down, storage and recycling. Any not needed by the body are released via the skin as sweat overnight or via the customary trip to the bathroom first thing the next morning. And then there’s everyone’s favourite, lovely morning breath! Finally there’s the spiritual aspect of sleep. We appreciate that this is not a subject that everyone feels comfortable with, so we’ll keep it short and sweet. During sleep, the incessant mental chatter in our minds fades away, giving the opportunity to connect to our own inner wisdom and guidance. This may come in the form of dreams or those sudden flashes of inspiration we sometimes receive on waking. Now on to that most controversial question. How much sleep do we need? Well, the simple – but not very helpful answer – is that it varies! Not only from person to person, but also depending on your age. We need most sleep as babies, with newborns requiring as much as 18 hours sleep a day. This figure drops to 10 to 11 hours for primary school children. By the time the teens arrive, the commonly cited figure of 8 to 9 hours has become the norm. Interestingly this figure then continues throughout life, despite the myth that older people need less sleep. What does change is that older people tend to return to a more natural way of sleeping; doing so in several chunks spread throughout the day, rather than in one stretch at night. More about this later on. If we only need 8 to 9 hours of sleep a day, why do we sleep longer some days? Well, this figure represents our basic sleep requirement. However if we’ve missed out on sleep from the previous night, or a more ongoing basis, then there’s a deficit to be made up. There are many different culprits for this deficit. Burning the candle at both ends (!). Shift work. Illness. Environmental factors such a noisy neighbours, a snoring partner (!) or looking after sick relatives. Whatever the cause, we all know that missing out on sleep will affect how we cope the next day, as well as on an ongoing basis. Sooner or later it needs to be made up, to allow us to return to optimal functioning. This is all down to our natural body – or circadian – rhythms. If you look back into our dim distant past, we were designed to forage for our food during the daytime. Our excellent daytime vision is a big giveaway, being best suited to daytime hunting; while our night vision is sufficient to help us see predators, but not to efficiently hunt for food. Although it may not always feel like it (!) our natural rhythms are designed to make us most alert and energetic first thing in the morning, as it gets light. Or put another way, as our natural prey becomes available to hunt. Energy levels then start to drop mid morning – biscuit anyone? – before increasing again in the early afternoon. The final dip of the day starts early evening – or earlier if the days are shorter – preparing us to sleep overnight. The whole process then starts again the next day with the first hint of light, as our bodies get ready for a new day. When you start to look at your life from this point of view, it quickly becomes obvious why we can have energy dips when we do. Mid morning, around lunchtime and early evening. These are the times when our blood sugar levels naturally fall, so do our energy levels and wakefulness. Research has shown that if you succumb to this urge – of sleep, not chocolate biscuits (!) – and have a few minutes sleep as your energy levels naturally start to dip; you’ll quickly recharge your batteries and function better for the rest of the day. Do we need to have all our sleep in one go or can we have chunks of sleep during the day? Now this is where it starts to get interesting. The most common old wives tale is that we must have one block of sleep and disturbed sleep has no value at all. As always there is some truth in this, but it’s not completely accurate. True having a few minutes of sleep, followed by time awake and then a little more sleep, doesn’t give the body time to do all the things it needs to do. However, having sleep broken down into two separate chunks, isn’t the problem we think it is. In fact, it was how our ancestors slept and was known as the “night of two sleeps.” Recent research into sleep has found that this is the pattern we soon revert to during experiments into our natural sleep cycles. If you stop to think about it, this makes complete sense. Before the luxury of manmade light, life was much simpler. We slept when it was dark and were awake and active when it was light. During the summer, when there were shorter periods of darkness, we may well have slept through the entire night in one go. Sleep could then be topped up during the hottest part of the day – the origin of the siesta, perhaps? – when predators were less active, before going hunting again as the day cooled down. During mid winter it was a different story. With long periods of darkness – a time of maximum danger when other predators were active – it made sense to only sleep for a few hours at a time. To then be awake for a while in the midnight hours when the threat was the greatest. Perhaps have something to eat and warm by the fire, before sleeping for another few hours. If you talk to people without the strictures of the working day (!) this is the pattern they tend to naturally revert to. What’s interesting is that they often don’t notice the sleep they are having during the day, but focus only on what they are “missing” at night. Despite this, they function completely normally without any ill effects. Isn’t it interesting that our bodies tell us one thing while our minds tell us something else? And which one do we always listen to?!? So, finally, on to the million dollar question. How can we make sure we get enough sleep? Well, the most important thing is to listen to your body. Simple, we know, but how many of us do? Feeling tired after a late night is one thing. Feeling consistently knackered is another. Which category do you fall into – or somewhere in between? Set a consistent bed time and getting up time, both during the week and at weekends. A few minutes difference is fine, but going to bed at widely different times on different days is not going to help your sleep patterns. Yes, we know, you want a social life as well (!) and the odd late night is fine. Just make sure that you give your body time to catch up on the sleep; whether by sleeping in the next day or having a snooze in the afternoon at the weekend. Create a regular bed time routine, giving yourself time to wind down before going to bed. Things like a warm shower or bath, relaxing music or book and soothing drink, such as camomile tea, can all help. Avoid anything stimulating like tea or coffee, not to mention action packed television programmes or books. How can you possibly expect to sleep when your body is hyped up or on red alert?!? Watching television until your go to bed – or, even worse, in bed – interferes with our natural body rhythms and sleep. This is a subject for another day but, in a nutshell, electrical equipment operates at a similar frequency to our nervous systems and so disrupts its normal functioning. The usual advice is not to watch television for at least half an hour before going to bed. Make sure your bedroom is completely dark, with an open window for fresh air and on the cool side, rather than too warm. Darkness, in particular, is necessary to balance your natural melatonin / serotonin levels which help control our natural rhythms of wakefulness and sleep. Exercise regularly to help burn off any adrenaline built up during the day (!) and take time out to relax. Make sure you spend some time outside in natural daylight each day. It doesn’t matter if it’s overcast or rainy; as it’s the natural daylight that’s important, rather than the sunshine. Natural light helps to reset your natural rhythms and so your natural melatonin / serotonin levels. Oh, and don’t forget to eat a healthy diet (!). If the worst happens and you do have a disturbed night, don’t lay there tossing and turning. Get up, have a warm drink and distract yourself with some relaxing music or a book. Don’t go back to bed until you feel sleepy and just remember that it’s a night of two sleeps. Sleep well!